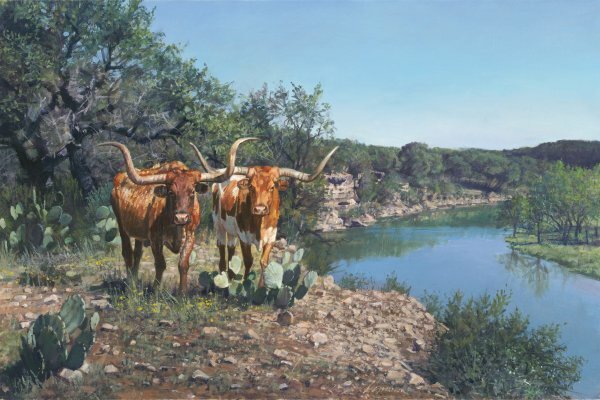 Ragan Gennusa loves to paint longhorn cattle. The breed, with steer horns measuring up to seven feet tip to tip. is an iconic as the ranchers and cowboys who breed and herd them.